The FeedWind Twitter widget is easy to setup and customize to match your website design. As with all our RSS widgets, the Twitter widget is fully featured with customization options. You can choose which elements of your calendar feed to display and choose fonts, colors and use a custom CSS (Pro and Plus plans only) to make more detailed styling adjustments. 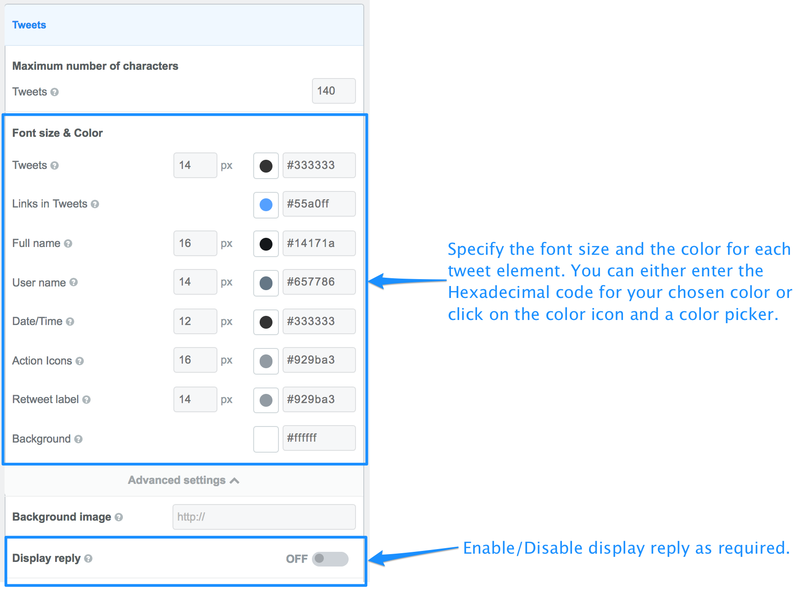 To create a Twitter widget you must first either sign in to your Feedwind dashboard or if you don’t have an account, you can create one in no time at all! (We just need an email address and that’s it!). Sign in to your dashboard and then click on the “Create widget” button. You will then be presented with 4 options, select the option to create a Twitter Widget. You will then see our setup screen, tailored specifically to fit Twitter. 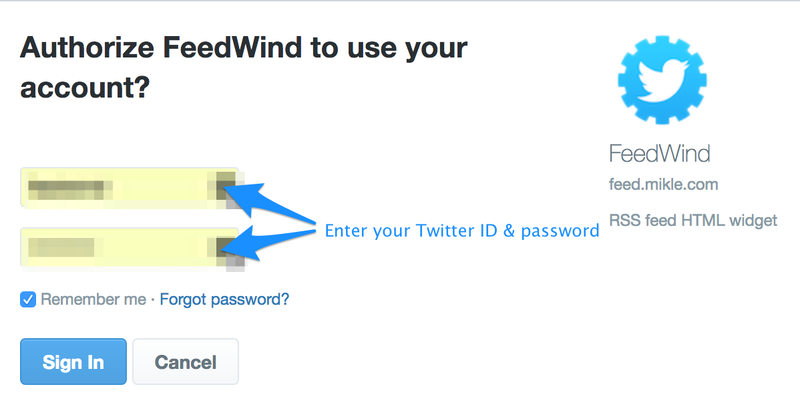 To get a feed of your tweets, you must first authorize FeedWind to use your Twitter account. Important note:You can add only one account per a widget. Twitter feeds are a little different to regular RSS feeds because they contain extra fields not found elsewhere. 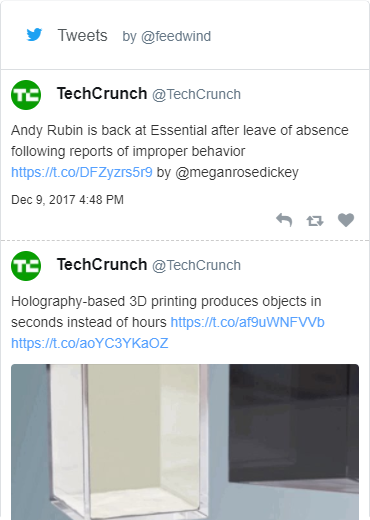 These are specific to Twitter feeds such as Twitter icon and reply. Also, our Twitter widget allows you to choose whether to display only your own tweets or both tweets from you and the users who you are following. 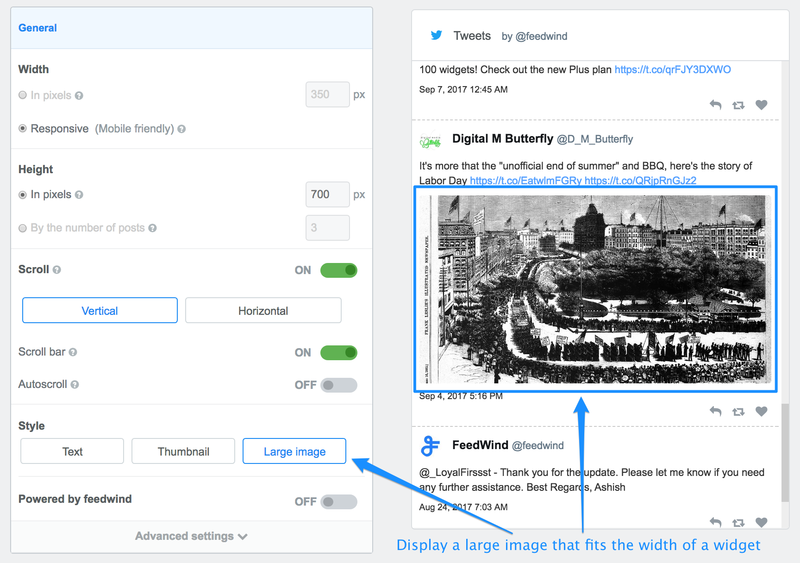 We have also added an option to display a large image in a tweet. 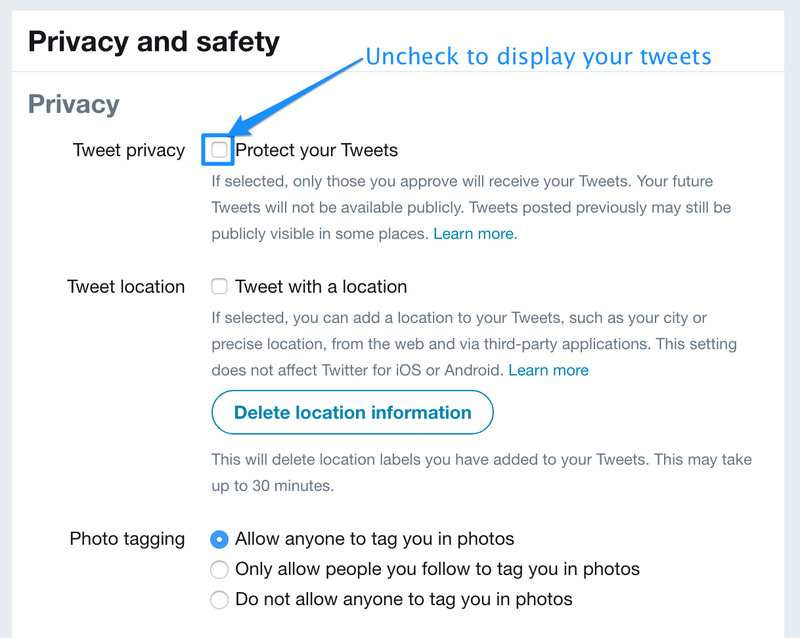 Please uncheck “Protect your Tweets” of “Tweet privacy” on your Twitter setting page as follows to display your tweets on FeedWind widget.